We believe that the Holy Bible, as originally written, was verbally inspired and the product of Spirit-filled men and has been divinely preserved and, therefore, is the truth without any admixture of error for its matter. We believe the Bible to be the true center of Christian union and the supreme standard by which everything shall be tried. 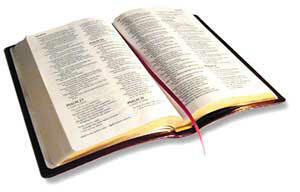 The Bible is the collection of sixty-six books, from Genesis to Revelation. It is providentially preserved without error in the English language in the form of the Authorized Version initially published in 1611. II Timothy 3:16-17; II Peter 1:19-21; John 17:17 and Psalm 12:6 – 7. We believe that there is one, and only one living and true God. He is an infinite, intelligent Spirit, the Creator and Supreme Ruler of heaven and earth. God is one in three persons – the Father, the Son, and the Holy Ghost. They are equal in every divine perfection, and execute distinct but harmonious offices in the great work of redemption. Isaiah 44:6, 57:15; I Corinthians 8:6; Revelation 4:11, I John 5:7. We believe that the Holy Spirit is equal with God the Father and God the Son. He was active in the creation; He convicts of sin, of righteousness, and of judgment; He bears witness to the truth of the Gospel; He is the agent of the New Birth; He seals, fills, leads, intercedes, teaches, witnesses, sanctifies and comforts the believer. II Corinthians 3:17; John 14:16, 17; Hebrews 9:14; John 14:16, 26; Luke 1:35; John 1:12-13; Genesis 1:1-3; John 16:8-11; Acts 5:30-32; John 3:5-8; Ephesians 1:13-14; John 1:33; Romans 8:14-16, 26-27; I Corinthians 2:10 – 13; 6:11; 12:13. We believe that Jesus Christ was born of Mary, a virgin. He is both completely man and completely God. He is the eternal Son. He was subject to temptation, yet was without ANY sin. He is the Messiah for Israel; the Savior of the world; the ONLY way any man can come to God the Father for forgiveness of sins and everlasting life; He is to be worshiped and glorified as the LORD. Isaiah 7:14; 9:6,7; Luke 1:31-35; Matthew 4:1-11; Hebrews 4:15; I Peter 2:22; John 4:42; 14:6;20:28; Luke 24:52; John 16:14; Philippians2:9-11. We believe the Genesis account of creation as being neither allegory nor myth, but a literal, historical account of the direct, immediate creative acts of God without any evolutionary process. We believe that creation was complete in 6 literal days. Man is made up of spirit, soul, and body and was created by a direct work of God and not from previously existing forms of life. All men are descendants from the historical Adam and Eve, first parents of the entire human race. Genesis 1 & 2; Colossians 1:16,17; Matthew 19:4; John 1:3. We believe that man was created in a state of innocence as a free moral agent under the law of his Maker, but by voluntary transgression Adam fell from his sinless and happy state. All men, as his descendants are totally depraved (excluding his free will), and are partakers of Adam’s fallen nature. Men are sinners by nature and by conduct, and therefore are under just condemnation without defense or excuse. Genesis 2:17; 3:1-6; Psalm 51:5; Romans 3:10-19; Ezra 7:13. We believe that the salvation of a soul requires a belief in God, and sorrow for sin. The conditions of salvation are found in two inseparable graces, wrought in our souls by the regenerating Spirit of God. Those graces are Repentance and Faith. 1) Repentance: Turning fully and completely from trusting self or anything else, to fully and completely trusting Christ. 2) Faith: The personal acknowledgment and acceptance of Christ as Savior of your soul. Salvation is provided by the grace of God and appropriated by faith, without any works performed by man. We believe that salvation is thereafter permanent and eternal to the believer. Hebrews 11:6; Acts 16:31; 20:20; II Corinthians 7:9,10; I Thessalonians 1:9; John 3:16; Ephesians 1:13; 4:30. We believe in the unity of all true believers in the Church which is the Body of Christ. This Church was established by Christ Himself when He called the Apostles and the Church was fully empowered for it’s current function on the day of Pentecost. All believers are added to this Church by the baptism of the Holy Spirit at the exact time that they trust in Jesus Christ as Savior. We believe that this Church is modeled through the local church which is a congregation of baptized believers united by mutual faith in Christ. It is the will of God for the Christian in this age to be part of a local church. Luke 6:12-16; Ephesians 1:10,22,23; 3:1-6; Galatians 3:26-28; I Corinthians 12:12,13; Acts 1:5;2:4, 41, 47; I Corinthians 11:2; Titus 1:5-7; Ephesians 4:11-16; Acts 20:17-28; I Timothy 3:1-7; I Peter 5:1-4; Hebrews 13:7,17; Colossians 1:18; Ephesians 5:23,24; Acts 15:13-18. We believe that Christian baptism is the immersion of the believer in water to publicly demonstrate their internal salvation and to identify with the death, burial and resurrection of Christ. We believe that the Lord’s Supper is the commemoration of His death. We reject as heresy the doctrine of transubstantiation or any teaching implying that these ordinances are in fact sacraments imparting “saving grace” to those who will partake of them. Acts 8:36-39; Romans 6:3-5; I Peter 3:21; I Timothy 1:1,6; Acts 9:18; I Corinthians 9:25; 10:1-2; 11:23;Matthew 28:19,20.